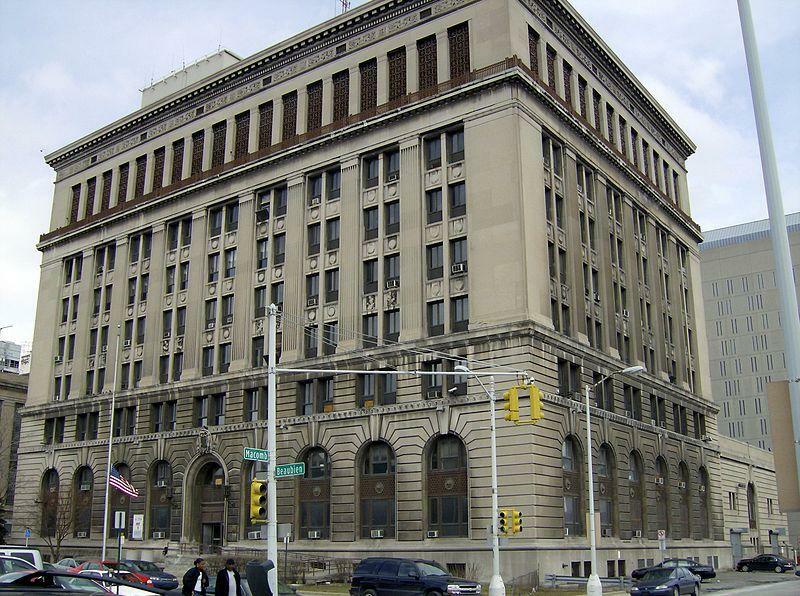 The Detroit City Council has rejected an effort to put a public safety millage on the November ballot. The Detroit Police Department pushed hard for the five-year millage. It would have raised $56 million over five years to put 500 more “boots on the ground,” in Detroit Police Chief Ralph Godbee’s words. But the Council rejected the effort by a 7-2 vote. Council President Pro-Tem Gary Brown was skeptical about the idea. And he asked if highly-taxed Detroiters can really afford to pay more for an uncertain return. “Overwhelmingly…people I see on the street, taxpayers, people who are property owners--do not feel that they’re getting an acceptable level of services for the taxes they’re paying now,” Brown said. Some Council members were also concerned that moving forward without Lansing’s approval could compromise future state revenue sharing payments. And others, like Councilman Ken Cockrel Jr., questioned whether the Police Department is managing its current resources effectively. That didn’t sit well with Chief Godbee. “I take umbrage with some of the political rhetoric," Godbee said. "Every answer I give [to questions about the millage], then they move the target to something else. Godbee this is a blow a department that already faces a dwindling budget, declining manpower, and recently-imposed pay and benefit cuts. But he says officers will soldier on. Several hundred Detroit police officers, firefighters and other municipal union members have rallied in protest of wage and benefits cuts called for in new city contracts. Holding aloft some signs that read: "Highest Crime Rate. 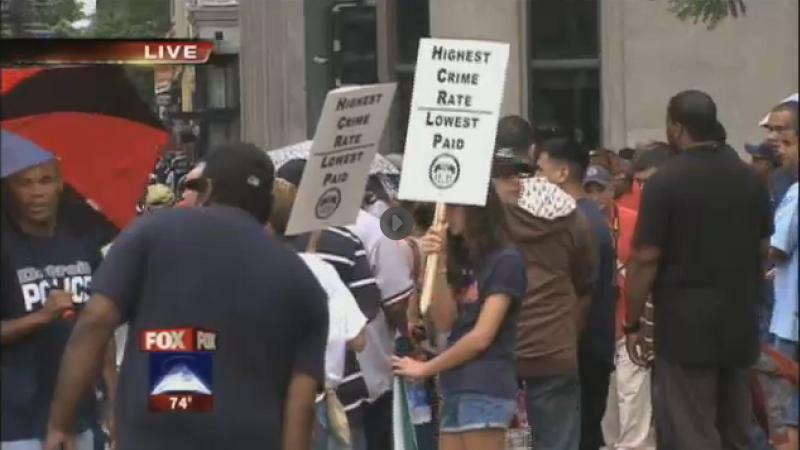 Lowest Pay," workers, retirees and their supporters marched today around City Hall. The rally was organized by Detroit police unions. Mayor Dave Bing imposed new contracts on unions whose previous deals expired June 30. Salaries will be cut by 10 percent, and employees must come up with 20 percent of their medical costs. Rumors are running rampant in the Detroit Police Department after the city imposed a pay cut and changes to work rules on most officers. That’s according to officers who spoke privately about what those changes will do to the city’s long-troubled police force. Just before Mayor Dave Bing imposed the new contract terms, including a 10 percent pay cut, Detroit Police Chief Ralph Godbee Jr. praised his officers for their dedication.